As I got some remarks about not updating this blog, I thought I'd post some again. Fiddling with my netbook and the XS4ALL 'Mobiel Internet' stick I got as an intermediate solution while they install ADSL, I noticed it is easy to get it running under Ubuntu. Unfortunately XS4ALL's helpdesk pages didn't provide any hints, so I just fiddled some myself. The Huawei E1780 that is included in the package is recognised by Ubuntu without any extra configuration needed. Seems also the storage (MicroSD) and the storage bit in which the Windows/Mac OS X drivers are stored is supported. But that I don't care about. That's all! Now you should be able to select your connection in the top panel under connections.. The network panel applet even shows connection type (HSDPA, UMTS, GPRS) and coverage in percentage. OK, for those of you stuck with double (or triple) calendars, of which one is your Outlook/Exchange 2007 calendar, here is a short howto on including/integrating your Google Apps calendar (or any other Google Calendar) into Outlook 2007. You can find these settings under 'Manage your domain' -> Service Settings -> Calendar. 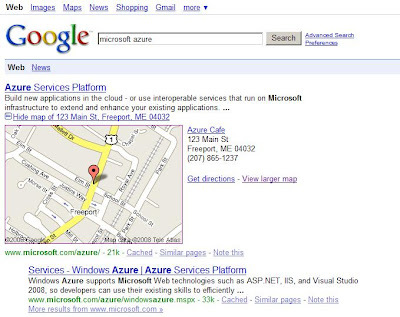 http://www.howtogeek.com/howto/microsoft-office/view-your-google-calendar-in-outlook-2007/ for the initial howto, http://markmail.org/message/ud3ad5ak3wekr3go#query:google%20apps%20private%20calendar%20URL+page:1+mid:ud3ad5ak3wekr3go+state:results for the trick on getting the private URL enabled in Google Apps and last but not least http://ryanmaizel.com/2009/07/03/google-apps-outlook-internet-calendars-and-ssl/ for making Outlook 2007 understand my https encrypted ICAL calendar. With iPhone 3.0 OS it is very easy to enable tethering on any iPhone running version 3.0 of the OS. Browse to http://help.benm.at/ with your iPhone and go to Tethering & Internet Settings. Choose Mobileconfigs and select your own country and provider. You will be prompted to install the right profile et voila, your iPhone suddenly features the ability to enable tethering. Go to Settings, General, Network and there you should see Internet Tethering. Choose USB tething, that works easy as 1-2-3. So now the last bit you need to know is how to connect the iPhone to your computer in a way your computer sees the iPhone and builds the connection? For Windows Vista and OS X it is as easy as installing iTunes 8.2. Installing that also installs the right drivers for the iPhone to become a network connection. When you have Tethering enabled on the iPhone and connect the USB cable it should automatically start tethering. iTunes starts up, but you can close it again, it's not required to keep the connection. The good thing is that you can continue to use your iPhone while tethering, the blue glowing top bar will remind you that it's tethering. And it also doesn't seem to run hot like the old 3rd party apps (requiring a jailbrake) used to do. As I still haven't found a picture site 'in the cloud' that is as flexible as Gallery, I've decided to run Gallery again. This time it's on a Jumpbox (free) VM, so little effort for me, but the result is great. Have a look if you are interested in our recent (family) pictures. Mike Blumenthal has some interesing posts about this on his blog on this topic if this issue has your interest. Tethering a netbook with a smartphone like the iPhone 3G sound like a great way to be connected 'on the road'. On a jailbroken iPhone, PDANet can share your celular data connection over Wi-fi. This isn't as simple as it seems however, it took me a while to get this figured out to work, but now finally it does on my Aspire One running Ubuntu Intrepid (8.10). This should not return any errors (if your root, that is). The old driver responded with something like "command not supported". Start PDANet on your iPhone. PDANet should come up with Computer Connected! and show the MAC address and other stuff related to your computer. Step 1 and 2 seem to be key here, either my iPhone and netbook seemed to refuse to connect to the ad-hoc network when another (infrastructure) network that it was allowed/configured to connect to was availlable. YMMV, but let me know if you had any success with this..
update: find instructions for Windows and Mac OSX at the iphone 2.0 blog.